European Commission President Jean-Claude Juncker addresses the members of the European Parliament in Strasbourg, eastern France, to outline his reform plans for the European Union in the so-called State of the Union debate, Wednesday, Sept. 13, 2017. 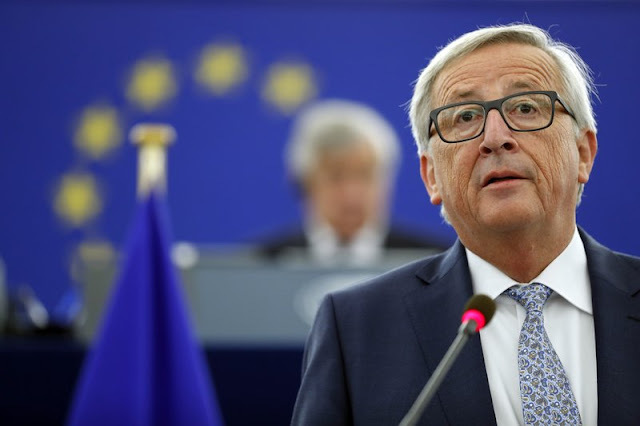 European Commission President Jean-Claude Juncker wants European Union leaders to meet in Romania the day after Britain leaves in 2019 to chart the bloc’s way forward as 27 member states. Juncker called for the leaders to meet in the city of Sibiu, some 280 kilometers (175 miles) northwest of the capital Bucharest, on March 30, 2019. Britain is scheduled to leave the bloc the day before.